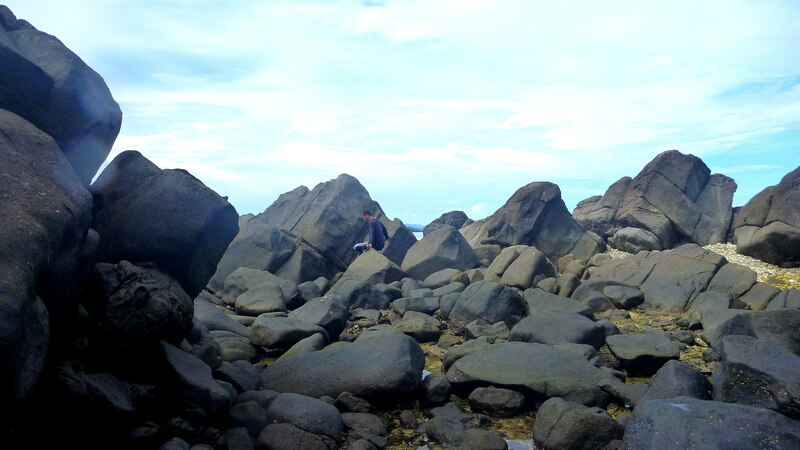 In our recent visit in Biri Island, we explored and spent significant time in the area by chance. It was suggested by our dive guide to have our first dive spot, ideally located just off the coast of town center and if not being installed as marine sanctuary before diving came to the island, it is perfect to be as house reef of Biri Scuba Resort. I believe it was not a sanctuary for nothing. Early morning when we got there, herds of dalagang bukid was near our boat on both sides but the dive was aborted and we stationed temporarily at Managtuka Rocks while the boat went back to shore. This clump of rocks is a sanctuary of banded sea snakes, an interesting specie albeit venomous. We climbed and peek through the granite boulders, indeed we found not just one but more than five in different sizes. 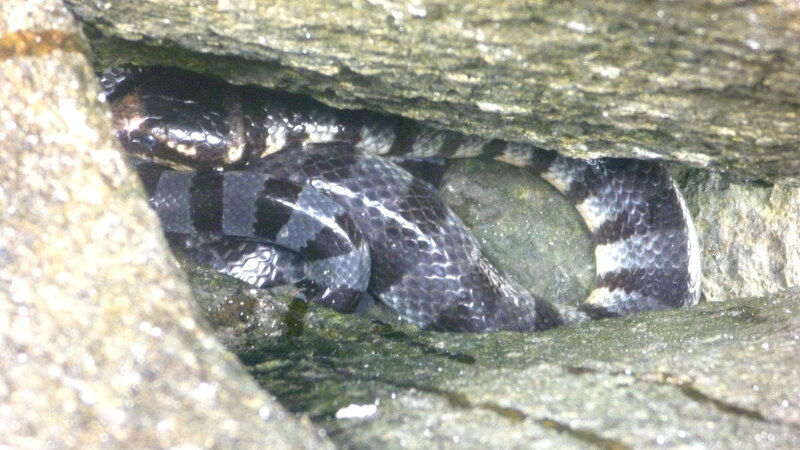 They were coiled in between rocks cooling off and sleeping, one was just shedding its skin. I was sure a number of them are hidden in their chambers. It was an interesting discovery! My belief is that, those are volcanic rocks thrown away hundred years ago from Mt Bulusan which is few miles away from the coast, undoubtedly it has geological significance. Climbing up was bit slippery as I was wearing my booties so I shunned the idea, I wanted the dives more than rock climbing. The shallow pools between the side rocks was more interesting, I sat there until our boat was back for the dives. Later in the afternoon after our two dives, we hop there again as if our descents were not enough – just love the waters! We had snorkeling hoping to get a close encounter of dalagang bukid but they were gone. There were only few of other tropical fishes, and most were juveniles. The quiet afternoon waters was perfect but we swam back to our boat after my snorkel went kaput. We stayed the rest of our time near the boat for our afternoon swim.